In the case report, a woman was admitted to Massachusetts General Hospital, because of shoulder and abdominal pain and an accumulation of fluid around her lungs. Surgeons removed a softball-sized mass from her right lung. The mass did not appear to be cancerous, but instead seemed to be the result of some kind of fibrous inflammation, and the patientÂ was treated with antibiotics. Several months later, the woman returned complaining of breathing problems and chest and hip pain. Doctors eventually diagnosed her with IgG4-related disease and successfully treated her with rituximab, a drug used with some types of cancer and autoimmune diseases. In addition to the lung, the disease can affect the pancreas, kidneys, salivary glands, major blood vessels or skin.Â Khosroshahi notes that while the patient in the NEJM report experienced pain from the lung mass, the growths that occur are not intrinsically painful. 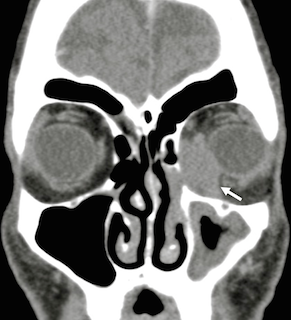 She sent Lab Land a striking CT scan of an IgG4-related mass close to the eye (below), which was mistaken for lymphoma. 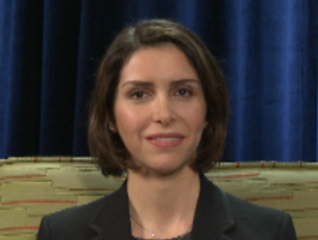 Khosroshahi is establishing a center for clinical care and research on IgG4-related disease at Emory. Much concerning this condition is still up in the air â€“ it is named after IgG4, the least abundant subclass of the antibody isotype IgG, but IgG4 is not a reliable biomarker, she says. In addition, basic informationÂ about the disease’s incidence and prevalenceÂ remainsÂ incomplete. I am an IGg4 patient who went through the surgery until diagnosed. We spoke briefly on the phone over a year ago. You were kind enough to return my call. I faxed some of my records to your office link. I am being treated by Dr Rachel Brown in Navarre, Fl. Initially she tried Imuran and prednisone only to relapse after tapering off Prednisone. Now I’ve gone through 2 rounds of Rituxan as you recommended and disease so far appears to be in remission. I did 29 years in the USAF. This disease makes me also think of the 100 visits to the base for skin rashes and sinus problems. Somehow I think it’s all related. If there is anything I can provide via documentation, I am willing to help provide data. BTW, now I have an incisional hernia (about 16 inches in diameter as a result from the initial surgery to remove 1/2 live, repair bile ducts, remove gallbladder and other tumors. Just postponing until disease is under control to properly time another open surgery which scares the crap out of me, infections, etc… Seems like all the specialties need to be under one roof (surgeon, rhuematologist, to make more informed decisions when something goes sideways, and they will. Without any disrespect, seems some surgeons are way excited to cut without fully grasping the whole disease and patient history. Mr Brann, thanks for your comment. Glad to read that there was success in controlling the disease, but sorry about the side effect of the surgery. I am chief of cardiology at Eglin AFB and need to reach Dr. Khosroshahi regarding a patient I suspect may have IG4 related coronary arteritis.